A grantor retained annuity trust (GRAT) is a special type of irrevocable trust that allows the trustmaker/grantor to gamble against the odds. 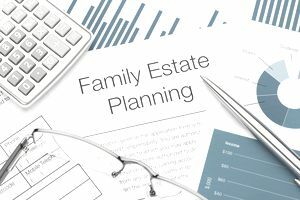 If the trustmaker/grantor plays his cards right, then a significant amount of wealth can move down to the next generation with virtually no estate or gift tax ramifications. The trustmaker/grantor transfers specific assets into the name of the GRAT and, as the name suggests, retains the right to receive an annual annuity payment for a certain number of years. When the term of the GRAT ends, what is left in the GRAT is distributed to the trust beneficiaries (children or other beneficiaries of the trustmaker/grantor's choice). The amount of the annuity payment that is required to be paid to the trustmaker/grantor during the term of the GRAT is calculated by using an interest rate the IRS determines monthly called the section 7520 rate. The section 7520 rate for August 2018 is 3.4 percent. For a chart showing historical and current section 7520 rates, refer to Key Rates / Valuation on the Leimberg.com website. So why would someone set up a trust for the benefit of someone else but get all of the assets back in the form of annuity payments? This is where gambling against the odds comes into the picture. The trustmaker/grantor is really betting on the fact that the assets transferred into the GRAT will appreciate in value above and beyond the section 7520 interest rate. So while the trustmaker/grantor will receive the annuity payments, the beneficiaries of the GRAT will receive the underlying GRAT assets at their value. It's the value of those assets that will appreciate over and above the section 7520 rate. The assets transferred into the GRAT could grow at a rate lower than the section 7520 rate. If this is the case, then the trustmaker/grantor will simply receive back the trust property at its depreciated value and will only be out the legal fees that were paid to set up the GRAT. The trustmaker/grantor could die during the term of the GRAT. If this is the case, then all of the property transferred into the GRAT would revert back into the estate of the trustmaker/grantor and be taxable for estate tax purposes, and the trustmaker/grantor will also be out the legal fees that were paid to set up the GRAT. GRATs are not for everyone or just any type of asset. The trustmaker/grantor must be willing to take a gamble and bet that the property transferred into the GRAT will outperform the section 7520 interest rate, that the trustmaker/grantor will live to see the end of the term of the GRAT, and that the trustmaker/grantor will not need the gifted property later in life to pay for living expenses or long-term care. Aside from the drawbacks discussed above, one other important thing to note is that President Obama fought GRATs as an estate reduction tool in his budget proposals throughout his time in office. The budget proposals addressed GRATs on two fronts: (1) GRATs would be required to have a minimum term of 10 years, which increases the chance that the trustmaker/grantor will die during the term of the trust and cause the GRAT assets to be pulled back into the trustmaker/grantor's taxable estate, and (2) zeroed-out GRATs would be eliminated. Instead, transfers into GRATs would be required to have a significant value for gift tax purposes. Both of these changes would have severely limited the effectiveness of GRATs as an estate tax reduction technique. With the signing of the Tax Cuts and Jobs Act (TCJA) by President Trump on December 22, 2017, GRATs remained the same.